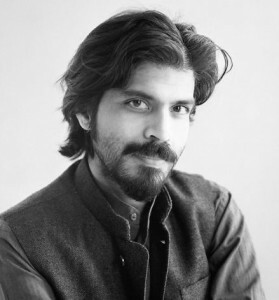 Washington, March 9 (IANS) Indian writer Pankaj Mishra is one of the eight writers from seven countries winning a $150,000 Yale University prize each in recognition of their achievements and to support their ongoing work. Mishra, an Indian essayist, memoirist, travel writer and novelist, won the Windham Campbell Literature Prize in non-fiction category, The Beinecke Rare Book and Manuscript Library at Yale announced. “Pursuing high standards of literary style, Pankaj Mishra gives us new narratives about the evolution of modern Asia,” the New Haven, Connecticut based institution said. Mishra’s work “expands our understanding of the encounter between Western and Non-western culture”, the announcement said. In addition to a novel, “The Romantics”, Mishra has published four works of non-fiction: “Butter Chicken in Ludhiana: Travels in Small Town India”; “An End to Suffering: the Buddha in the World”; “Temptations of the West: How to Be Modern in India, Pakistan, Tibet, and Beyond”; and “From the Ruins of Empire: The Intellectuals Who Remade Asia”. “From the Ruins of Empire”, his most recent book, attempts a re-visioning of the geo-politics of the late nineteenth and twentieth centuries from multiple Asian perspectives. His literary and political essays and long-form journalism regularly appear in The New York Review of Books, The London Review of Books, The Guardian, The Hindu and elsewhere. Other winners in the three categories are: in fiction, Aminatta Forna (Sierra Leone), Nadeem Aslam (Pakistan), and Jim Crace (Britain); in non-fiction John Vaillant (United States/Canada); and in drama, Kia Corthron (United States), Sam Holcroft (Britain) and Noëlle Janaczewska (Australia). All eight writers will accept the prize in person at a ceremony at Yale Sep 15. The ceremony will be followed by a three-day literary festival celebrating the work of the prize recipients.